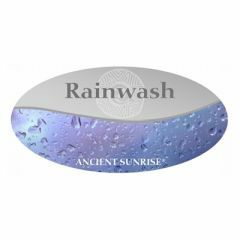 Ancient Sunrise® Rainwash Mineral Treatment will remove mineral buildup caused by washing in hard water. Heavy mineral buildup in your hair may react with cassia and make an otherwise lovely golden color turn green, brown, or even black! Mineral buildup can also make hennaed hair go dull. Add a 5 gram packet of Rainwash to your shopping cart and use coupon code rainwash with your order. 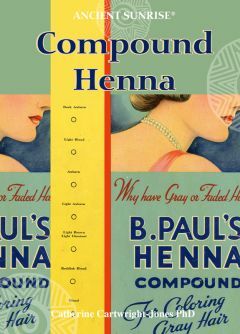 "Henna Mislabeling, Misinformation, and Disinformation"
In the early twentieth century the term henna was used for hair dye, whether or not the dye was actually henna; the word henna conveyed “safe” and “effective” during a time when early chemical dyes were haphazard and often dangerous. This Ancient Sunrise® Henna for Hair Chapter 3, Compound Henna provides insight into where the misconceptions about henna came from and how they proliferated into public consciousness in general, and among stylists in particular. 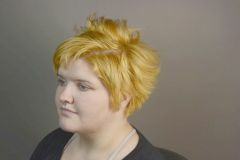 There are better ways to achieve both a subtle color change and conditioning. Glosses are a waste of good henna and your money. Because the diluting medium inhibits dye uptake, color results are temporary, and most of the conditioning benefits of henna are unavailable. While they have their place in rare occasions, more often than not, there is a better alternative to the gloss. Henna has been used for both cosmetic purposes as well as practical applications. Its ability to stain keratin and condition the hair led to its use in grooming and beautifying practices for both women and men. Its additional health benefits made it useful for combating a number of skin conditions, as well as being visually appealing. Do you have a comment or a suggestion for a future article? We do our best to make it easy for you to find whatever you're looking for. Our new site has built-in search. You can find the search bar at the upper right of every page. And we've added a sitemap with a link to every product on our site. If you still need help finding the exact item you need, you can always talk to our Customer Service staff. Our shipping charges are calculated automatically on our website. However, if the shipping charge on your order seems high, call our Customer Service team 855-MEHANDI(855-634-2634) or 330-673-0600. They might be able to arrange a lower shipping price for you. They'll also be happy to help you with any questions you have about your order or using our products. Please visit Mehandi.com on the web at http://www.mehandi.com. You can also find some of your favorite Ancient Sunrise products at Amazon.com [https://goo.gl/avLHWc] or on our Facebook social store [https://goo.gl/4utZfP].